Stay tuned for upcoming events for Rahat Fateh Ali Khan in near future. Rahat Fateh Ali Khan is a Pakistani music artist who is popular in popular Bollywood and Lollywood for playback singer. 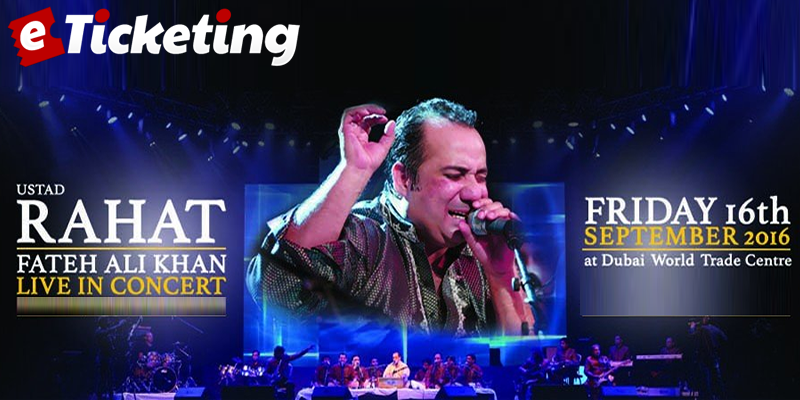 Ustad Rahat Fateh Ali Khan is going to play at the World Trade Centre on 16 September 2016 in Dubai, UAE. He is the nephew of late music legend Ustad Nusrat Fateh Ali Khan. RFAK is famous primarily for Qawwali, a devotional music of the Muslim Sufis. Best Viewed at 1024 x 768 pixels and above. This Page loaded in 0.08798 seconds on Fri, Apr 19, 2019 (06:31).